One difference between Kennedy and Obama is the historical moment of their bid for center stage. Kennedy ran against the stagnation of the Eisenhower years, promising to close the (nonexistent) missile gap with the Soviet Union and restore American leadership in the world. ... It's hard to imagine President Obama, in his inaugural address, vowing to "pay any price, bear any burden, meet any hardship, support any friend, oppose any foe, in order to assure the survival and the success of liberty." That would sound way too much like his reckless predecessor. Instead, Obama would try to assure the world that a wiser, humbler, more cooperative America was back: ennobling words and restrained actions. They did not mean to assert the obvious untruth that all were then actually enjoying that equality, nor yet, that they were about to confer it immediately upon them. In fact they had no power to confer such a boon. They meant simply to declare the right, so that the enforcement of it might follow as fast as circumstances should permit. They meant to set up a standard maxim for free society, which should be familiar to all, and revered by all; constantly looked to, constantly labored for, and even though never perfectly attained, constantly approximated, and thereby constantly spreading and deepening its influence, and augmenting the happiness and value of life to all people of all colors everywhere. I think this is a beautiful expression of the liberal approach: ever progressing towards a more just society--even a more democratic world--but also keenly mindful of the terrible obstacles that stand in the way, the stubborn immovability of human beings, the effort and patience and delicate caution it will take to move closer to that end. 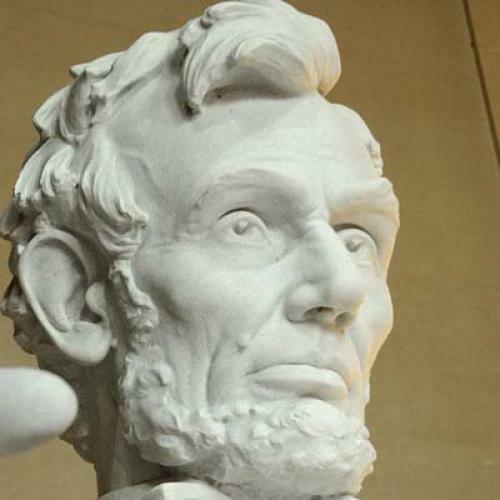 (Yes, ol' Abe dealt delicately with his enemies: See his plans for Reconstruction, which emphasized not a Confederate version of de-Baathification but forgiveness.) Lincoln called these things that intervene between us and our ideals "circumstances"; they're what we now call "facts on the ground." Things like: Waiting for other countries may not be ideal when dealing with a rogue state, but cavalierly bucking their will can be a whole lot worse. And: Sometimes an action you thought was a good idea turns out to have been a bad one, which in turn requires a change in approach, not an increasingly wild-eyed embrace of your original hopes. And: Democracies aren't built in a day. A friend and Obama fan recently emailed me a transcript from an Iowa appearance in which I think Obama gets a little Lincolnian. The candidate is ad-libbing in response to the question, "What's really going to change?" Every four years, we talk about universal health care; it doesn't happen. Every four years, we talk about a bold energy plan; and we don't increase fuel- efficiency standards, and we don't do anything significant on energy. So, listen, I understand the cynicism. ... We're not doing it perfect, but we can make improvements.If I institute a ban on people out of my administration lobbying afterwards, that doesn't mean that there might not still be influence of lobbyists. We can't eliminate all influence of lobbyists and special interests. And we probably shouldn't, because part of freedom of speech is being able to hire somebody and go advocate on behalf of your interests. But we can make sure that we don't just have a revolving door, where somebody who is in charge of setting up the prescription drug plan suddenly quits his job and starts working for PhRMA. We can do that. ... If everybody here makes a decision that we can change things, not to make them perfect, not to solve every single problem--if I'm president of the United States ... it's not going to be automatic that suddenly your boss is always nice to you and giving you a raise every week. I can't guarantee that. But what I can guarantee is that I will wake up every morning thinking about how we can make your life and, more importantly, the lives of our children and our grandchildren better.